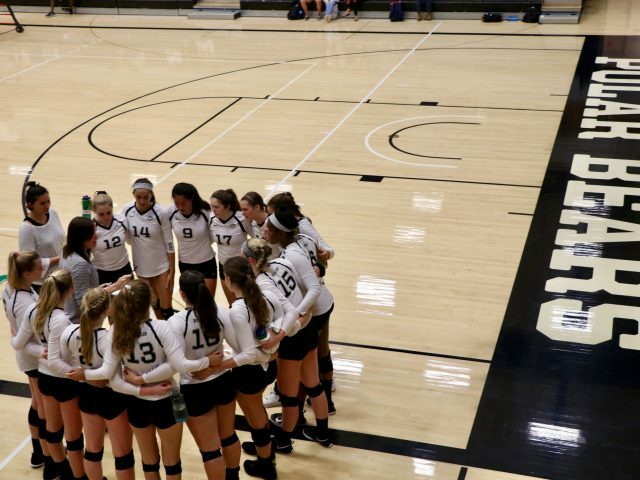 Last weekend, the Bowdoin volleyball team traveled down to Wellesley, Mass. 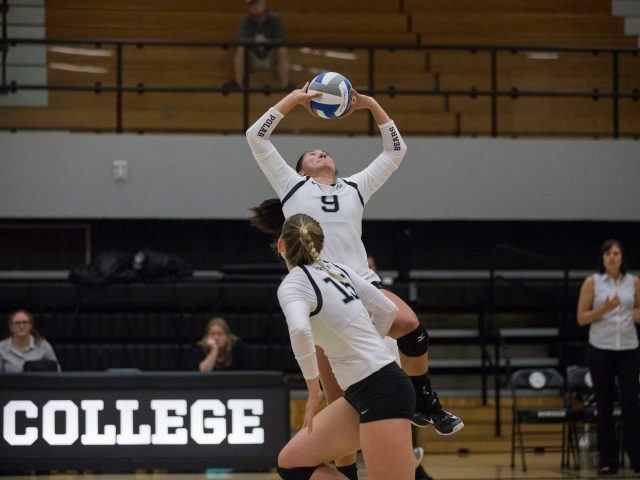 to compete in the NCAA Division III Volleyball Championships. The Polar Bears took down Worcester State (23-11) and Johns Hopkins (22-8) to advance to the Sweet Sixteen, where they fell to regional hosts Babson (26-9) and ended their season with a program-best 29-2 record. 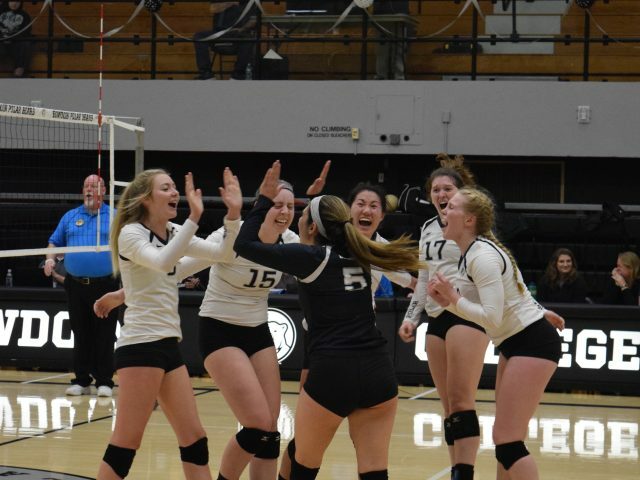 The NESCAC Volleyball Championship will be coming to Bowdoin this weekend for the first time since 2015. With a current record of 24-1, the team has put forward its best regular season ever and looks to continue that success in the postseason this year. The women’s volleyball team (22-1, 8-0 NESCAC) takes on its biggest NESCAC competitor, Wesleyan University (15-3, 8-0 NESCAC) tonight at 8 p.m. The two teams are both undefeated in the NESCAC. They are battling for first place in the league and the rights to host the championships next week. The women’s volleyball team (6-0) is on a six-game win streak after beating the University of Southern Maine (4-4), Gordon College (6-4), Brandeis University (5-3), Maine Maritime (5-4) and sweeping the New England Invitationals in Presque Isle and Boston. 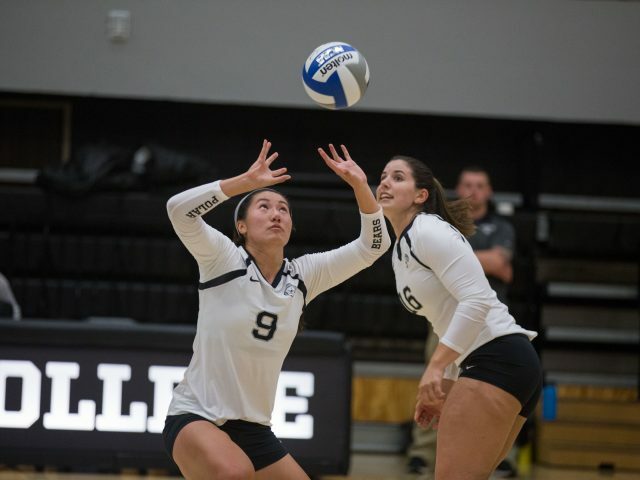 Seeded third, with an impressive 8-2 record in the NESCAC, the volleyball team has its eyes on the Championship as the tournament commences this Friday. The team’s last game against Connecticut College (13-10, NESCAC 2-8) ended with a 3-2 victory, giving the Polar Bears confidence as they head into the tournament to face No. 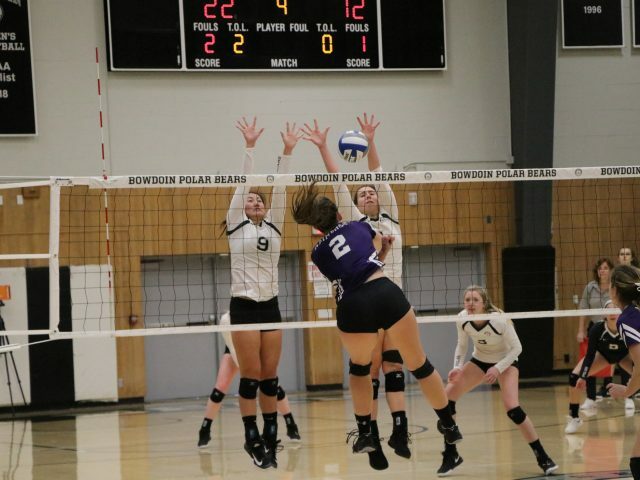 The Bowdoin volleyball team (9-7, NESCAC 6-1) is making its presence felt in the NESCAC after winning four consecutive conference games over the course of two weekends before falling to Bates on Tuesday. On Saturday, Bowdoin proved victorious in a back and forth 3-2 victory versus Amherst. The volleyball team (3-1) will open NESCAC league play this weekend at home against rivals Colby (1-3) and Bates (3-2). Last weekend the team traveled to Boston to compete in the New England Invitational, its first tournament of the season. 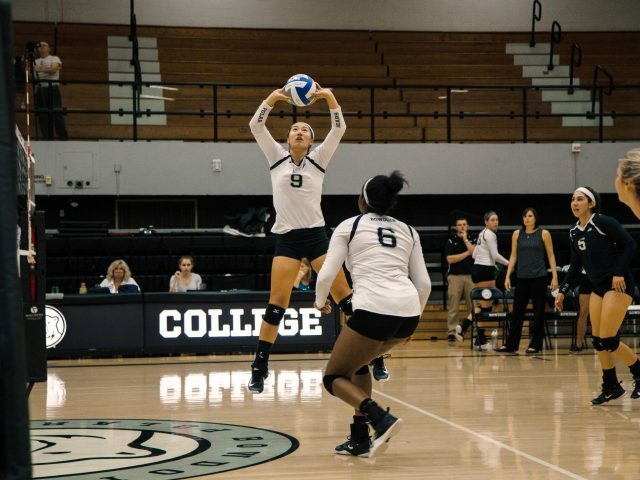 The Bowdoin volleyball team opened its season with a hard-fought 3-2 win over the University of Southern Maine (3-1) on Wednesday. 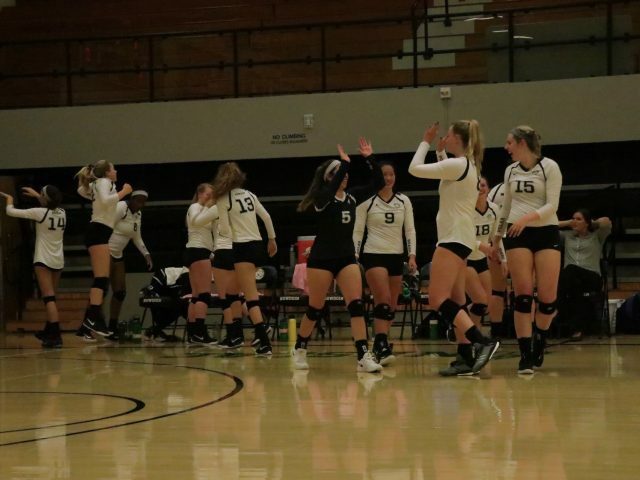 The exciting five-set matchup put an end to the Huskies’ three-game win streak, and the team hopes to capitalize on this victory as it heads into a three-game weekend.